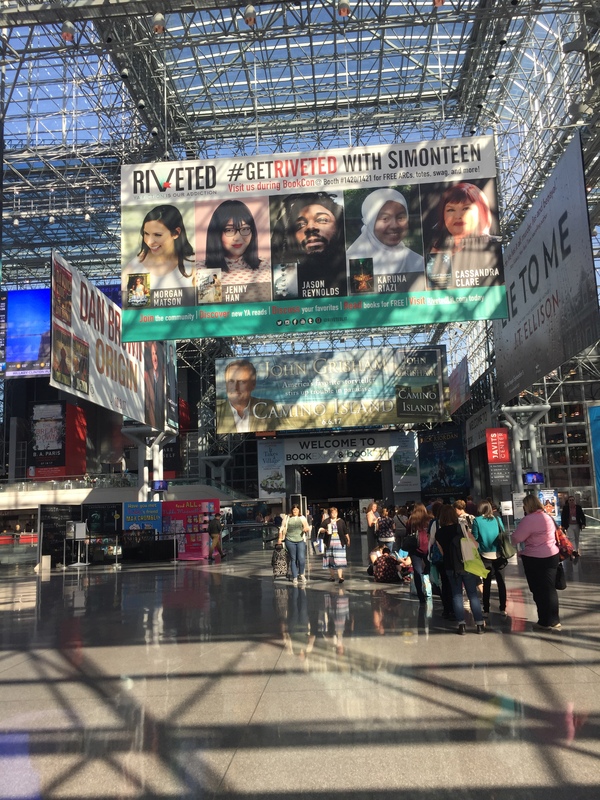 It started on a clear Friday morning, the 2nd day of June, as I boarded an early train to Penn Station along with my friend and fellow Long Island author, Lisa Diaz Meyer, and her son and husband who were also on their way to BookExpo in New York City. 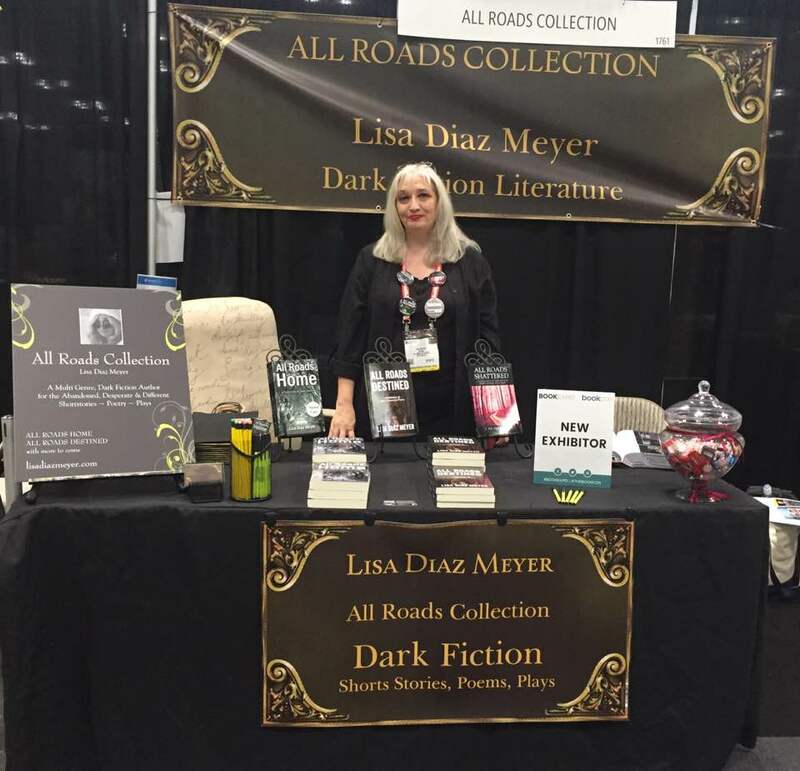 Lisa was exhibiting her three wonderful dark-fiction collections while I was representing my library. 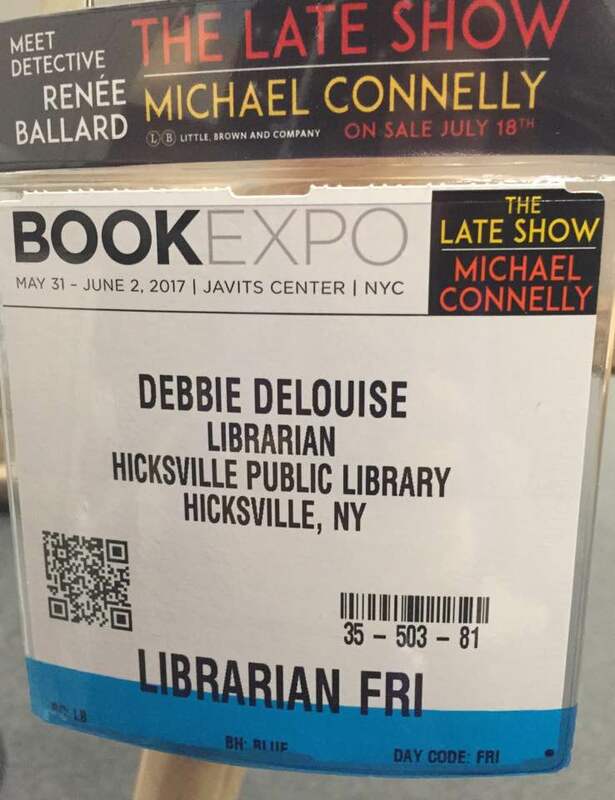 Although, as a librarian and author I’d been to other local library and book-related conferences, this was my first time at BEA. 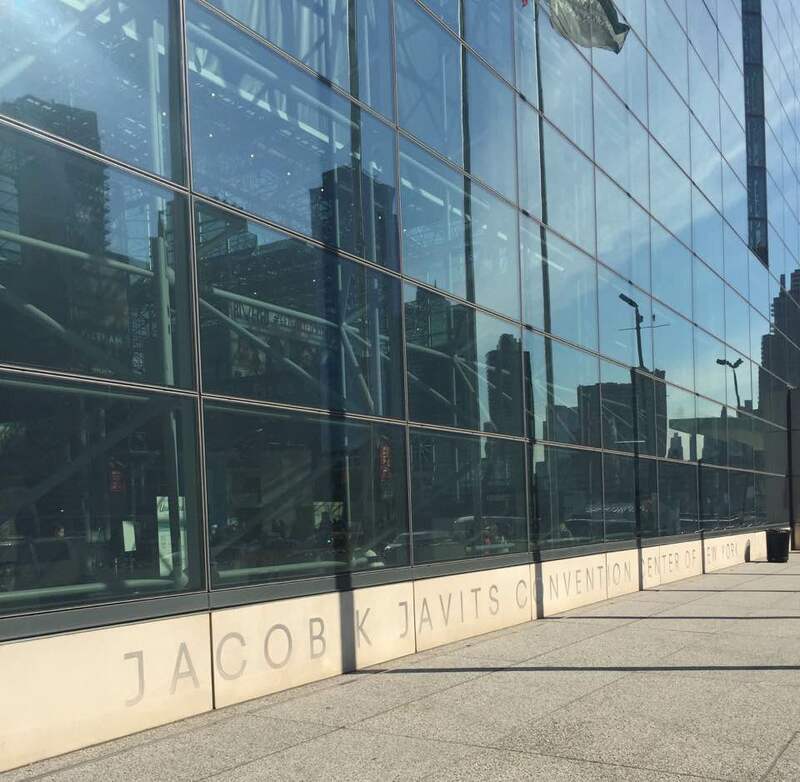 Walking through the glass doors of the Javitz Center, I noticed the huge signs of publishers and booksellers such as Simon & Schuster, Ingram, Publisher’s Weekly, etc. People in business attire were walking around with coffee cups and conference schedules, their registration badges hanging around their necks identifying them as librarians, authors, editors, and others involved in the book world. Spanning four floors and including conference rooms, stages, and exhibitor booths, most of the action took place on the main level. 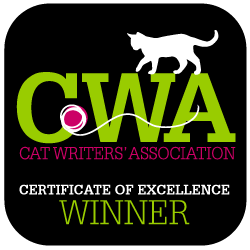 That’s where Lisa set up her table with the other Indie authors. She had been exhibiting since Wednesday and planned to remain for BookCon which took over on the weekend. Meeting Michael Connelly, a fellow member of International Thriller Writers, was the highlight of my day. When I received my badge for the day, I was interested to see that it advertised Michael Connelly. As a librarian, I was familiar with the appeal of his books to thriller lovers. One of my patrons who once received books at home when she was homebound was a particular fan of his, and I always had a hard time keeping up with her request for his titles. When I learned he would be appearing at a booth that afternoon to sign copies of The Late Show, his latest release, I thought of Mrs. Nelson and knew she would love to receive her own autographed copy of this book. I made a point to attend the signing and, although the line was long, I managed to get the book, meet Michael in person, and even have a photo taken with him. It was the highlight of my day. 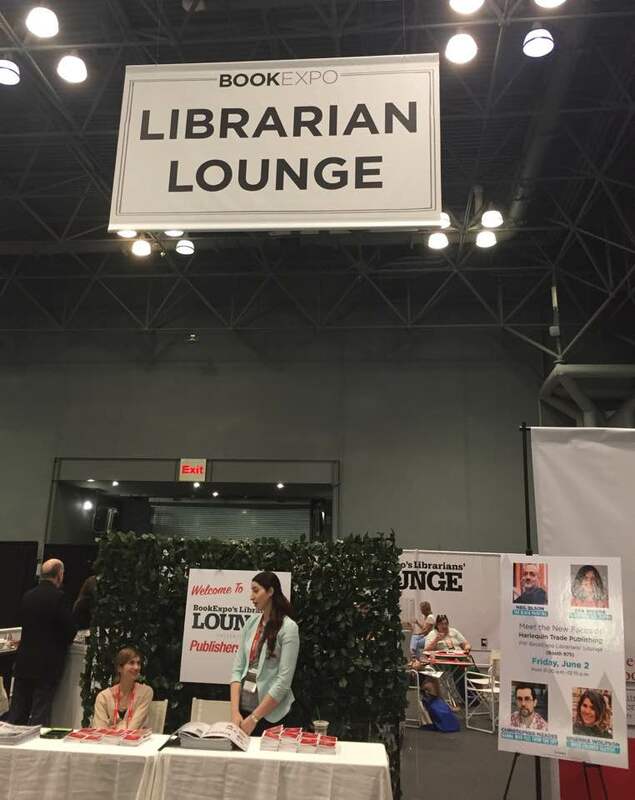 During BookExpo, I also attended the library programs that previewed upcoming summer and fall titles. At many of these, I was able to receive advanced reader copies of these popular forthcoming books. 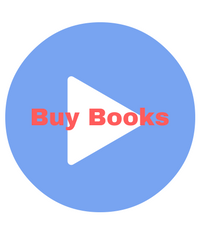 Since I order the fiction and mystery titles for my public library, I found these sessions very informative and knew they would help me select the most anticipated novels for my community. In addition, since we are starting an adult summer reading program this year, some of the ARC’s and exhibitor giveaways can be used as door prizes for our closing event. 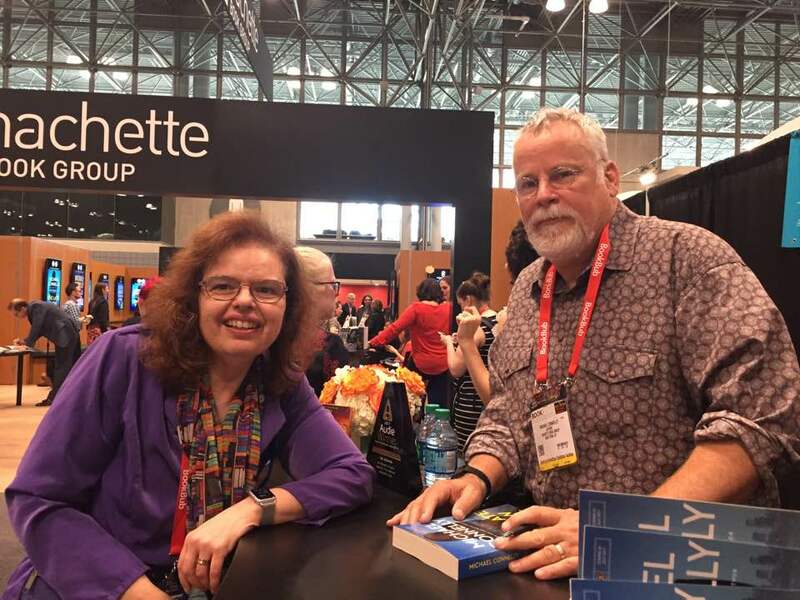 Besides the signing with Michael Connelly, there were two other pleasantly unexpected events that happened to me at BookExpo. The first was discovering the Librarian’s Lounge, an oasis hidden away in the far corner of the main floor. 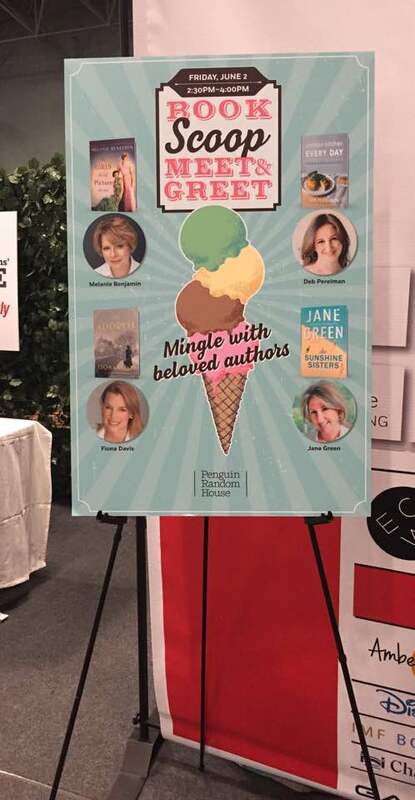 Sponsored by Publishers Weekly and open only to librarians, this wonderful area featured food and refreshments throughout the day along with authors and book signings. 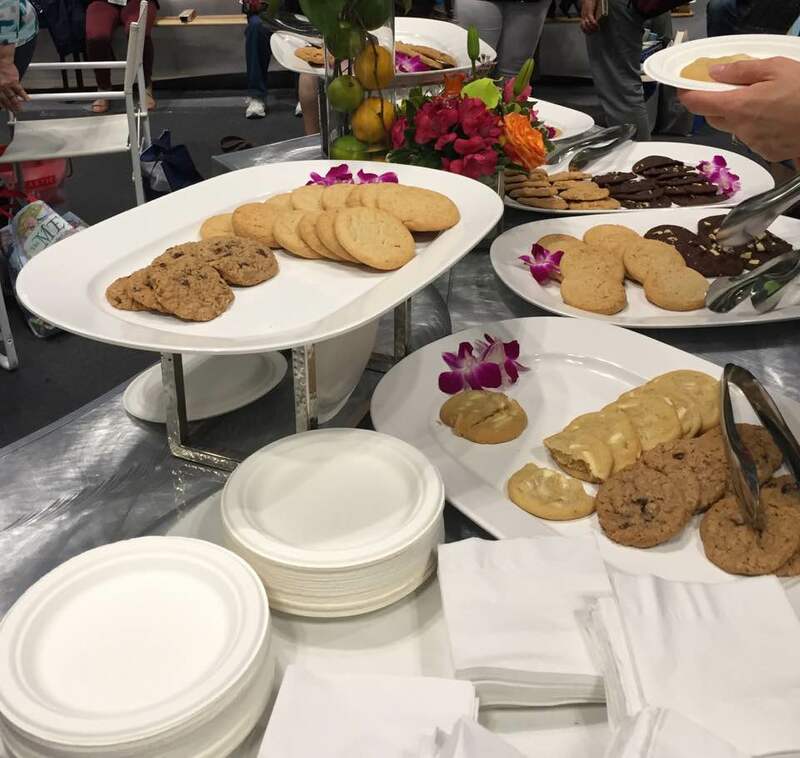 In the morning, there were bagels and spreads with coffee; and, later in the day, a sweet treat of ice cream and cookies for tired librarians in need of a pick-me-up from the long day of walking around the conference center. During this afternoon break, several authors were also present to sign copies of their books. The second nice surprise was the number of cat items for sale. At a conference for book people, I actually should’ve expected this. 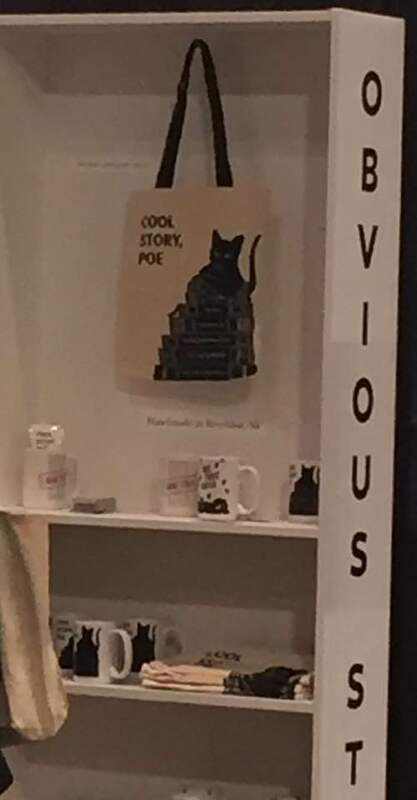 I picked up a black cat tote and a shirt as souvenirs and nabbed a free copy of a Grumpy Cat book. 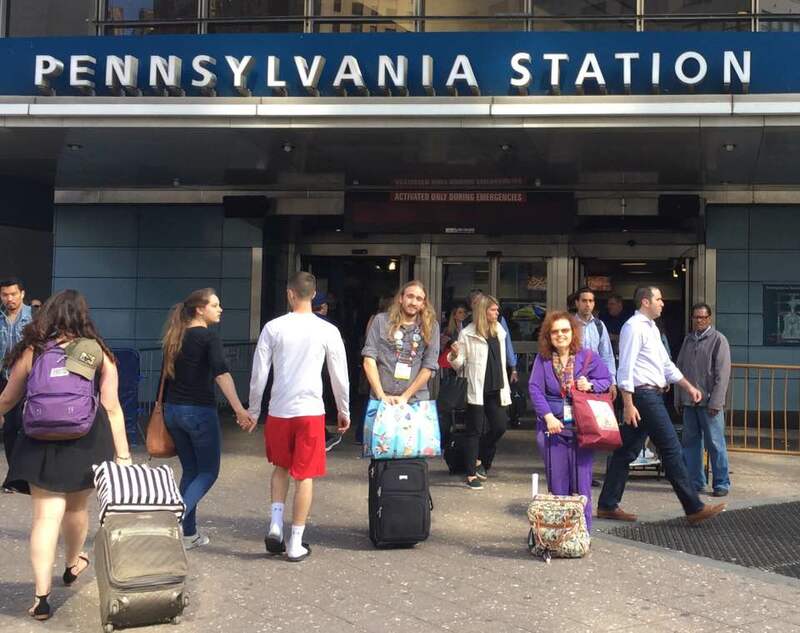 At the close of the conference day, toting twice as many bags as I’d entered with, my friends and I headed to Penn Station for the train back to Long Island. Unfortunately, it was rush hour, no taxis were available, and the conference shuttle was nowhere in sight. We ended up walking, and I was glad I’d taken the advice of my co-workers and director and brought along a rolling suitcase and comfortable shoes. The day was still pleasant, one of the best of the season so far, so the trek to the station was an enjoyable end to a great day.